Glandford, home of the stunning 18th Century Country House Bayfield Hall, is a pretty little Hamlet sitting in between the larger villages of Wiveton and Letheringsett. 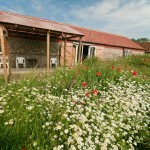 Just 2 miles from the stunning North Norfolk coastline at Blakeney the countryside it nestles in is just as beautiful. 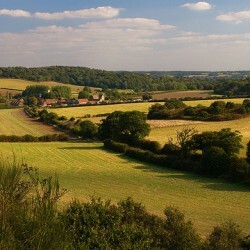 There are many footpaths that will take you either towards the coast or inland towards the fabulous Georgian market town of Holt. 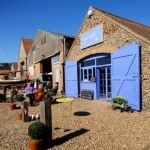 The Art Café is North Norfolk’s newest gallery and licensed café. A place to buy beautiful artwork, enjoy fantastic coffee and tea, indulge in some super food and relax in delightful surroundings. With a sunny courtyard for summer days and a cosy wood burning stove inside for the brisk North Norfolk winters, The Art Café is must visit location for art lovers all year round. With changing exhibitions of paintings, ceramics and textiles and regular intimate evening music performances, The Art Café has quickly become part of the well known North Norfolk arts circuit. Next door to The Art Cafe is Birdscapes, specialising in bird artwork from contemporary to classic, semi-abstract to photo-realistic, it has works from over 50 of the UK’s leading bird artists, including many members of The Society of Wildlife Artists. 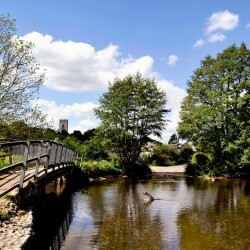 There is also other wildlife and local landscape works on display and you can pick up a map for the ‘Bayfield Bird Walk’ here. The wildlife lovers paradise that is Cley Spy stocks a large selection of binoculars, telescopes, tripods and optical accessories along with a range of outdoor clothing, bird food and feeders, books and gifts. 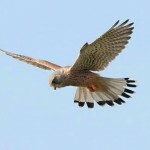 They also stock a selection of bird and wildlife walk maps for the local area, a must visit for anyone who loves wildlife watching. 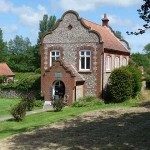 The Shell Museum, Glandford, is the oldest purpose-built museum in Norfolk and houses the finest seashell collection in the UK. As well as thousands of exquisite seashells, the Museum also contains fossils, birds’ eggs, agate ware, local archaeological finds and many more fascinating items. The Museum underwent a major refurbishment programme in 2003 when great care and attention were taken to both enhance and preserve its unique Victorian collection. 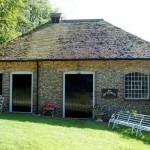 The Old Stables at Bayfield Hall (which is set in its own Repton styled park) is an antique emporium and a flower shop. There are currently seven individual antique dealers who trade at The Old Stables, all specialising in different fields. 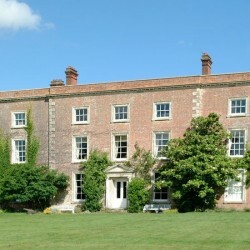 Bayfield Hall and its Estate, which encompasses much of the land in and around the village of Glandford, was inherited in 1882 by the late Sir Alfred Jodrell, Baronet. Sir Alfred was a gentleman of great generosity who set about rebuilding the village. Although there was a village here at the time of the Domesday Survey (1086), in which it is called “Glanforda”, with the exception of Bayfield Hall, one farmhouse and a cottage, the present village of Glandford was entirely built post 1882.